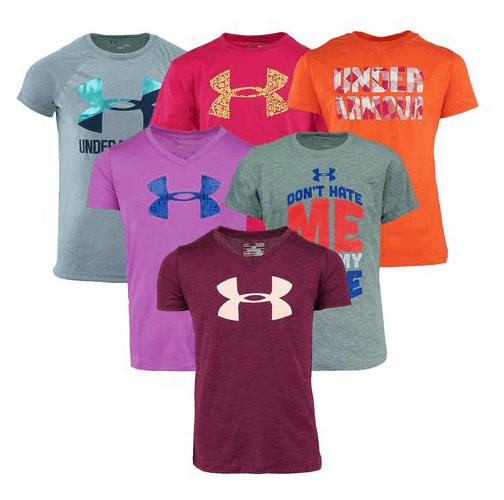 Under Armour Girls' T-Shirts $6, Shipped! Under Armour Girls’ T-Shirts $6, Shipped! Right now you can score this Under Armour Girls' T-Shirts 3-Pack for $18 with the code HBD40 at checkout ~ that works out to only $6 per shirt! What a fantastic deal for Under Armour! Plus shipping will be free. 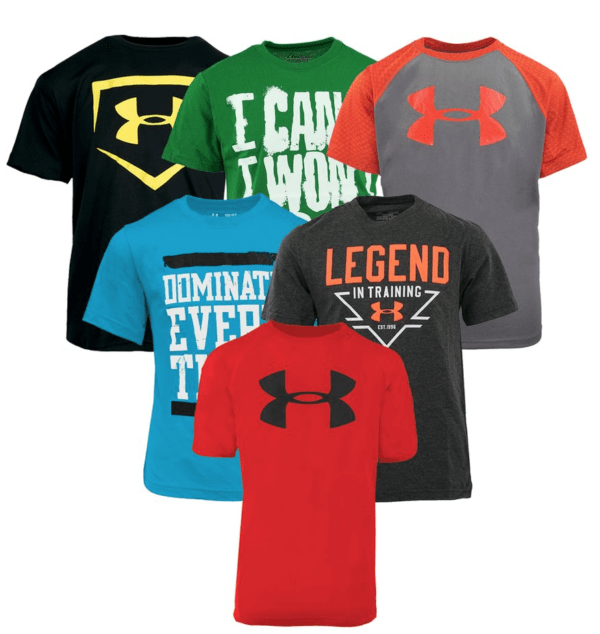 Or get this Boy’s Under Armour Fitness T-Shirts 5-Pack for $36 with the coupon code HBD40 at checkout ~ that works out to $7.20 each! Plus shipping will be free. You will get a random assortment! Go HERE to grab them!